Project Access Nashville Specialty Care, a program under the leadership of the Nashville Academy of Medicine and the Medical Foundation of Nashville, provides a coordinated system of care to low-income, uninsured residents of Davidson County through our partnership with the Metro Nashville Health Department and the Safety Net Consortium of Middle Tennessee. 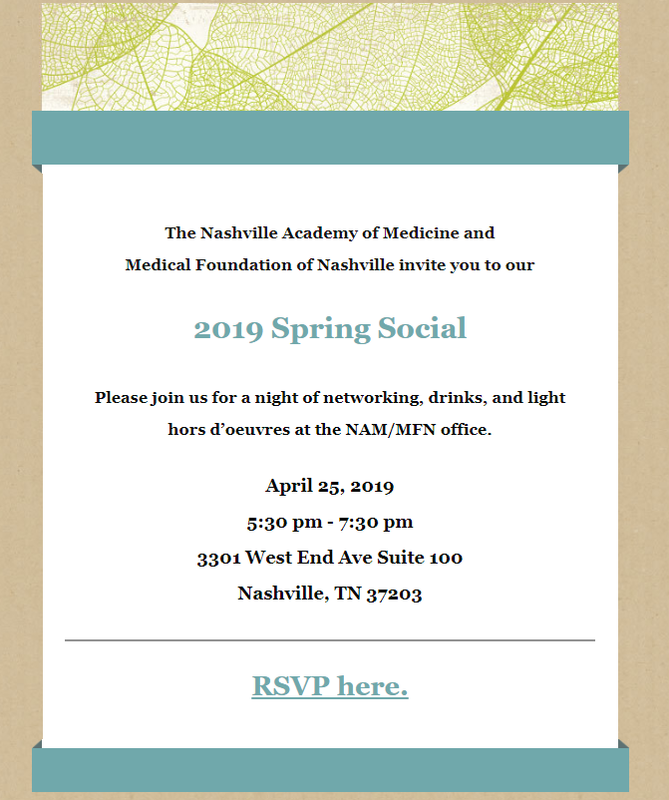 Through these partnerships, Project Access Nashville Specialty Care has established a referral process that links these patients to a network of community-based medical clinics, physician specialists, collaborating hospitals, and ancillary partners. The response and results of this program have been striking. Since its April 2005 inception, we are proud to report over $40 million in care has been donated to thousands of uninsured Nashville area patients by more than 1,300 physicians and their affiliated hospitals and laboratories. We are exceedingly grateful for the generous participation of our volunteer physicians and the following hospitals, which have donated the necessary inpatient and outpatient care to our Project Access Nashville Specialty Care enrollees, including surgeries, imaging and laboratory testing: Centennial Medical Center, Skyline Medical Center, Southern Hills Medical Center, St. Thomas Midtown Hospital, St. Thomas West Hospital, and Summit Medical Center. The following clinics currently utilize our program for the specialty care needs of their patients. This comprehensive referral system ensures that each patient has access to the necessary primary and specialty care that they need. We are also incredibly grateful to the State of Tennessee Department of Health, The Healing Trust, United Way of Metropolitan Nashville, the Community Foundation of Middle Tennessee, Qsource Community Partnership, and the Vanderbilt Community Health Improvement Team who provide grant funding to support our work.